Jimmy Cricket paid tribute to the war dead recently with a visit to a famous European memorial. 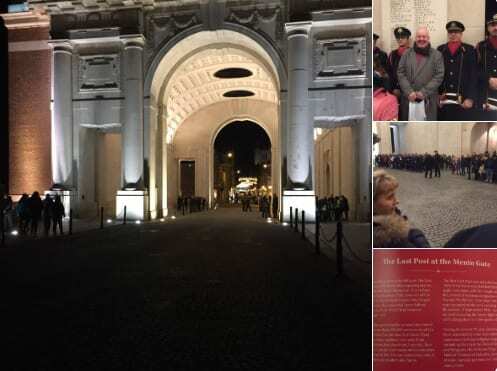 The well-known Northern Irish entertainer attended the Last Post ceremony at the Menin Gate in Ypres, Belgium. The gate has historically been a crossing point over the moat and through the ramparts of the old town fortifications, on the road to the nearby town of Menin. It had a special significance for Allied troops during World War I as it was from this place that thousands of soldiers set off for the part of the Front called the Ypres Salient – with many of them destined never to return. The new Menin Gate was built on the same site in the form of a Roman triumphal arch (see photo below) and was opened in July 1927 when the Last Post was played by buglers from the Somerset Light Infantry. 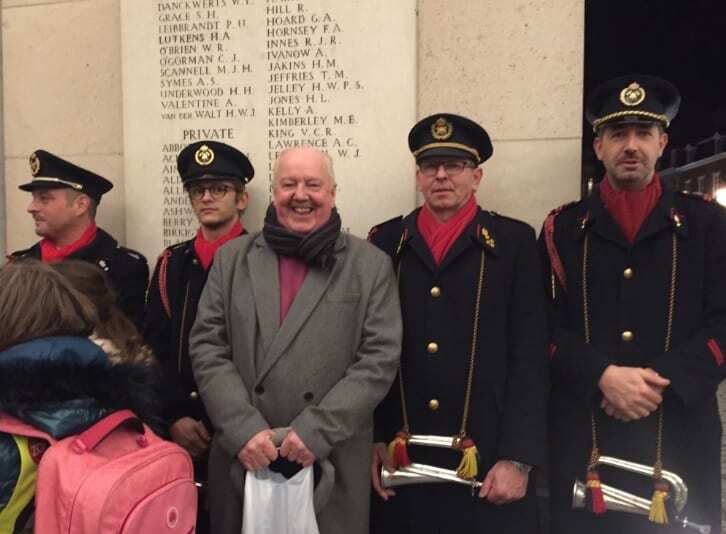 Since 1928, buglers from the Last Post Association have been playing the Last Post at the Menin Gate every night at 8pm. Only during World War II was the ceremony interrupted. In military tradition, the Last Post is the bugle call that signifies the end of the day’s activities and is also sounded at military funerals to indicate that the soldier has gone to his/her final rest and at commemorative services such as Remembrance Day. The walls of the Menin Gate are engraved with the names of nearly 55,000 British and Commonwealth soldiers lost on the field of battle but with no known graves.